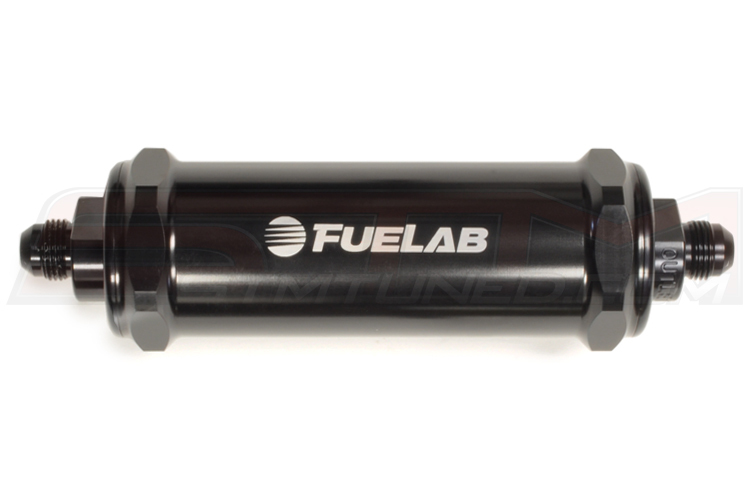 FUELAB 828 Series 5" Long Fuel Filters FUELAB 828 Series 5" Long Fuel Filters | STM Tuned Inc.
FUELAB In-Line Fuel Filters keep your engine running clean! 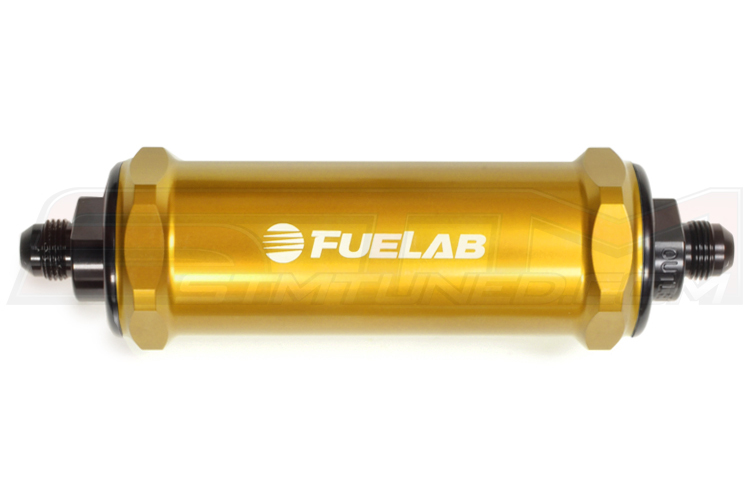 They feature male AN / 37° Flared fitting end caps, so you can attach them directly to other fuel system components. Also featured are machined internal radii for minimal pressure drop. 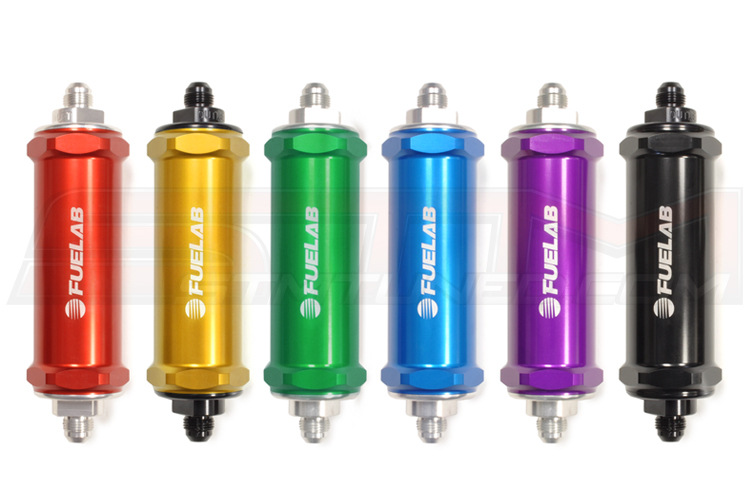 For greater flow capacity and increased filtration the larger 828 Series Fuel Filter is equipped with your choice of 5" filter element. Which Filter Element should I choose? The most economical and commonly used element. It is disposable yet provides excellent filtration. Compatible with Gasoline and Diesel only. 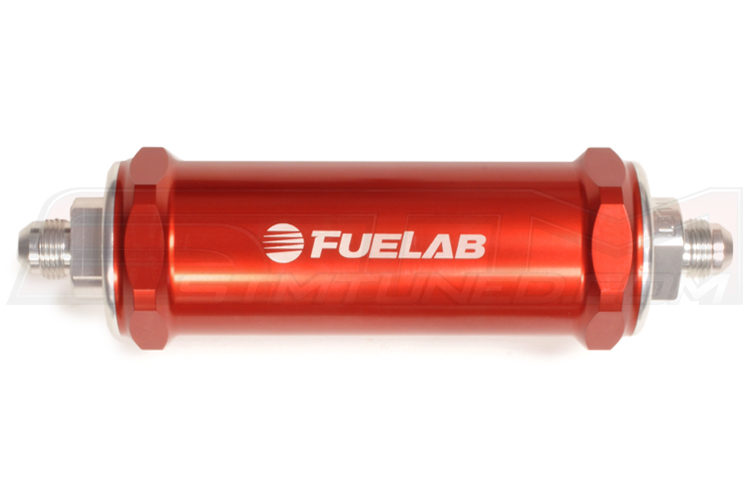 Made for harsh racing conditions and ultimate fuel compatibility. It is cleanable and does not necessarily require replacement for maintenance. 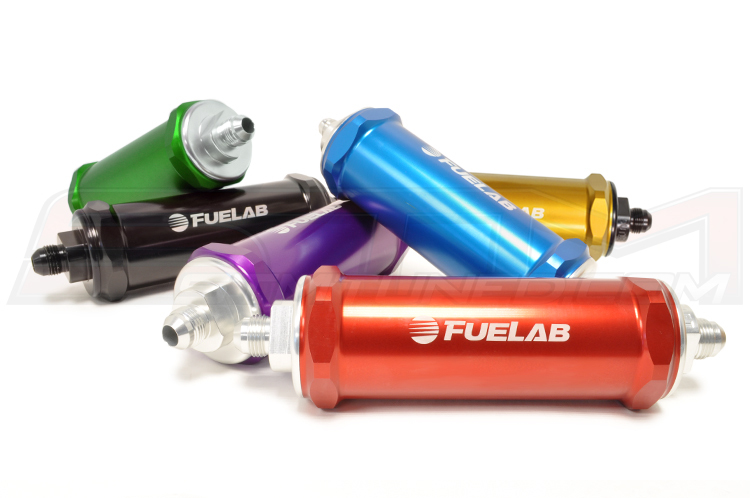 Gasoline, diesel, methanol, and ethanol fuel compatible. 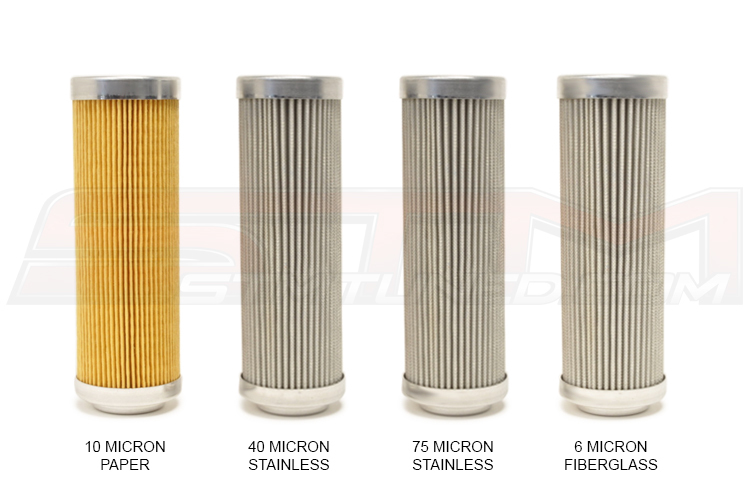 This filter element should only be used as a pre-filter for fuel pumps. It helps prevent pump cavitation with an extremely low pressure drop. 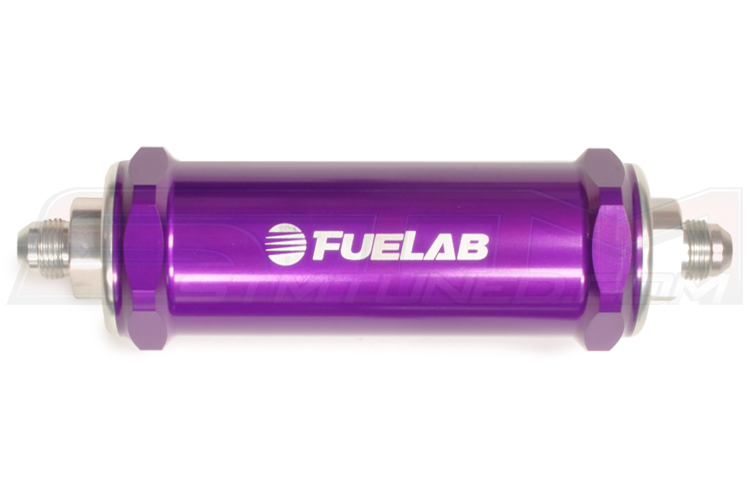 Gasoline, diesel, methanol, and ethanol fuel compatible. FUELAB's most advanced filter element provides extra particle protection and reduces maintenance requirements with improvements in filter efficiency. This element is disposable and not to be cleaned. Gasoline, diesel, methanol, and ethanol fuel compatible.